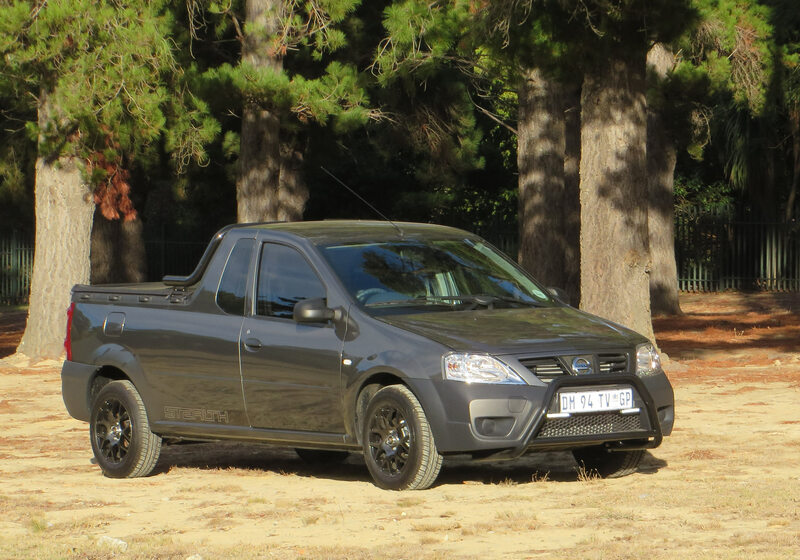 When Nissan replaced the old Datsun 1200 / Nissan 1400 bakkie they knew they had a mission on their hands. 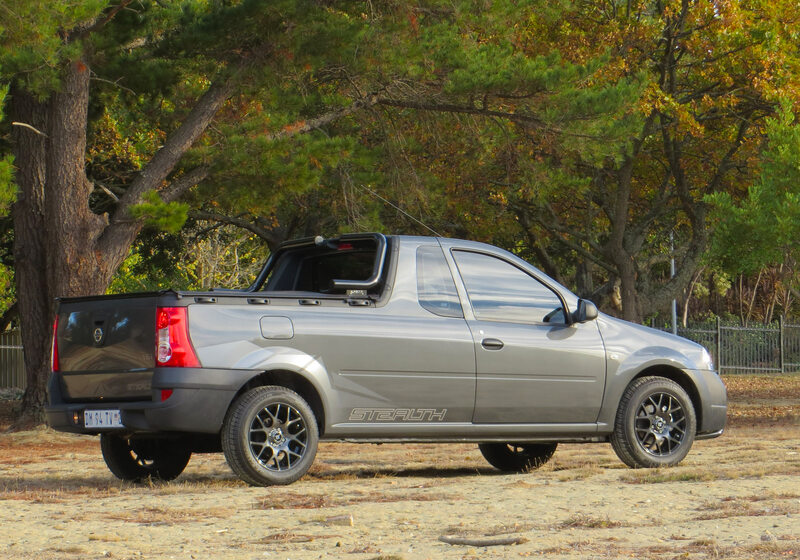 In actual fact the NP200 is a better workhorse than the the Nissan Champ it replaced, but somehow it just did not have the same chutzpah, cachet, something special that the 1400 had in wallops. The NP200 needed a bit of youthful zest. A punch just like the Champ. So Nissan had an idea. 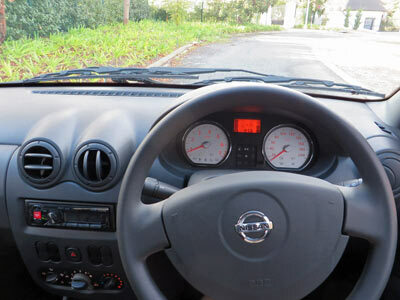 Nissan made a model for the leisure market which looks more sporty than the normal NP200. A bit cooler? So what is the Stealth? It is a makeover. A bit like make-up. Exactly the same under the skin, but a bit of a highlight there a bit of colour here and a really nice hair-do. The Stealth package gives you techno grey paint, darkened sports bar and flush fitting tonneau cover, a prominent nudge bar that fits below the colour-coded grille frame, charcoal black alloy wheels with red accents, dark side and rear fitted STEALTH decals and dark tinted smash-and-grab protected windows. Don’t forget the running lights. Nissan says: “NP200 STEALTH seats are uniquely upholstered in special eco leather with titanium-coloured contrasting stitching and STEALTH-embroidered logos.” – I kid you not. In addition to standard air conditioning, ABS brakes and two airbags, the NP200 STEALTH also comes equipped with remote central locking, daytime running lights and a black tonneau cover. I have to say the NP200 has much more cabin space than the old 1400. Much better seats. Actually everything is better. Some things they have kept simple and basic. You wind the windows up or down. 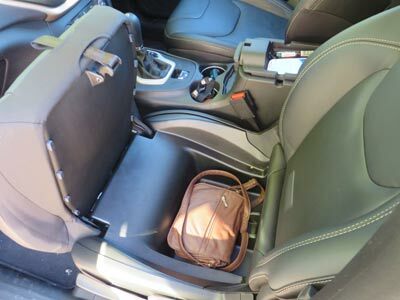 It does tick most of the boxes: airconditioner, Alpine with radio Bluetooth /USB connectivity/ AUX input , smart comfortable seats, space behind the seats, carpets on the floor and a power point. So how is it to drive you may ask? Exactly like the normal NP200. Like a little bakkie should. It handles like a small truck and does exactly what you expect it to do. Acceleration is fine and maintaining the legal limit is a breeze. Cornering can be interesting and should be approached with caution. But hey its a truckling. In short, its a worthy successor to the Champ. At times the engine will labour a little, especially at altitude. So expect around 8.5 litres/100km. I liked it. It seems good value for money for the little bit of fun added to the package. The Stealth lists at R169 900. It is basically the 1.6 8V BASE A/C+SAFETY model with a few style elements. 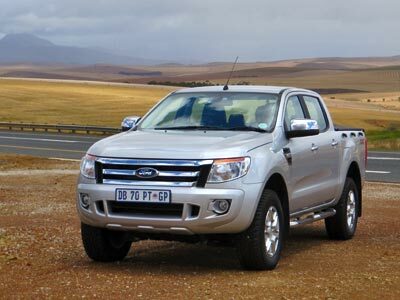 The range starts with the 1.6 8V BASE at R141 300 and tops off with the 1.5DCI HIGH at R221 300. The base models lack certain safety equipment and creature comforts and are very basic. The Stealth comes with a substantial 6 year or 150 000km warranty. New vehicle sales in April 2015 saw a year-on-year decline of 3.3%, with total sales of 44 428, according to the latest data from the National Association of Automobile Manufacturers of South Africa. Passenger car sales totalled 30 184, representing a year-on-year decline of 1.9%. Sales of Light Commercial Vehicles (LCVs) totalled 12 077, a yearly decline of 6%. 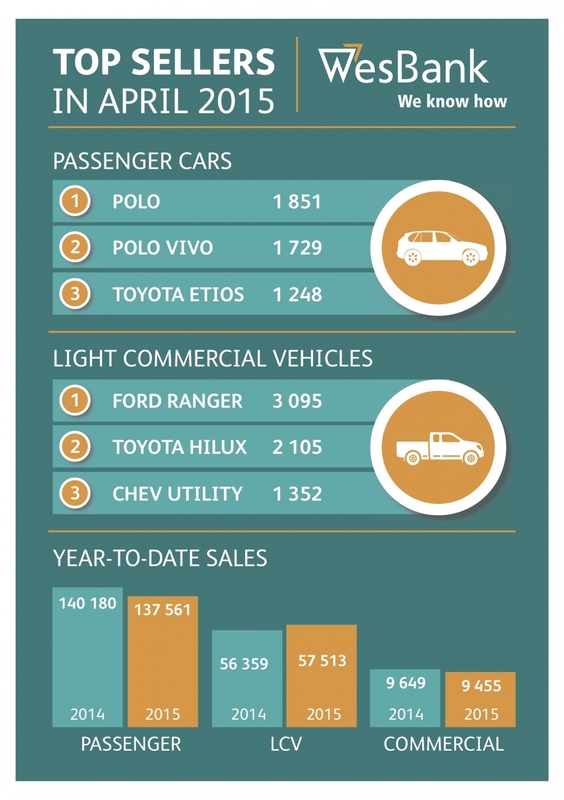 So, just like in the US, a bakkie; specifically a Ford bakkie is king of car sales. Finally Jeep builds a Cherokee again that deserves to be called Cherokee. Thank you motoring gods. Jeep has been very clever. They make three different types of Cherokee. A real 4×4 called a Trailhawk. An excellent SUV that has All Wheel Drive (AWD) and a cross hatch/ station wagon which has front wheel drive. They all have the same bodies and share engines and so on. The differences come in the suspension, ride height and gears. We tested the FWD car. The model that will suit most city dwellers. Style and clever design is what this iteration of Cherokee is all about. I know you don’t automatically link design and Jeep. From now on you need to. 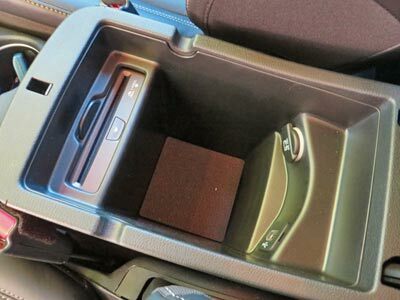 From the passenger seat base which lifts up to reveal a handbag sized ‘secret’ stash cavity to a CD player, USB port and power supply in the between seats armrest this car is practical and cleverly laid out. The front seats have heating. 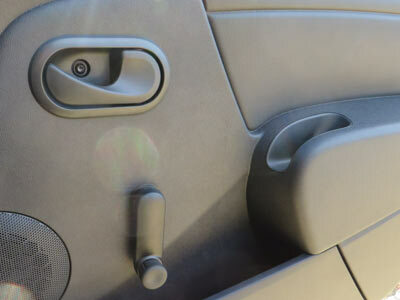 A covered top bin is located above the radio on top of the soft touch instrument panel. Its big enough for glasses or a phone. The materials, fit and finishes are all premium quality. 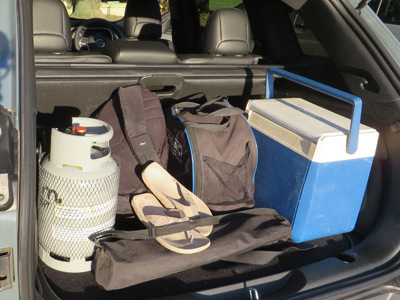 In the boot this car has what Jeep calls the vehicle cargo management system which has handy hooks, a rail to hook onto and a removable grocery bag holder as well as some thoughtful add-on storage solutions including a First Aid Kit. The 60/40 split second-row seats slide forward and back for added comfort and cargo flexibility. I like the exterior although some do not like the ‘shark’ nose. I think it seems both poised and elegant. 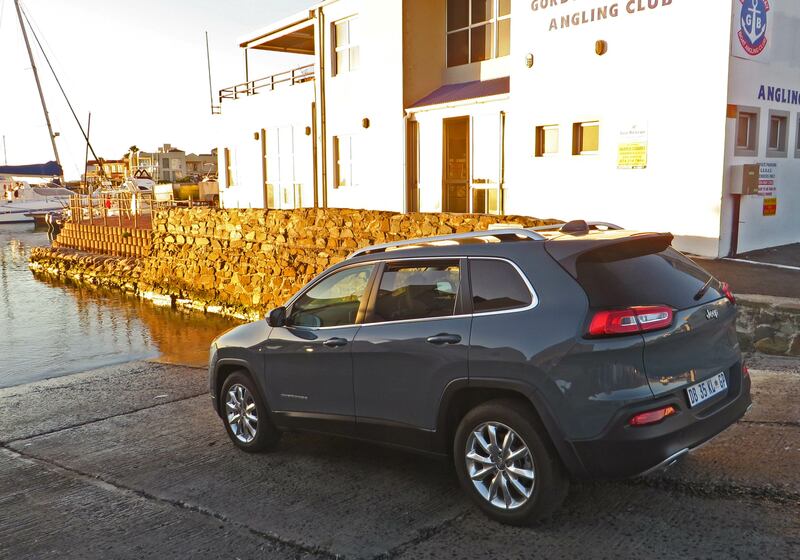 The 18 inch polished aluminium rims on the Longitude model suit the car to a T.
This new Cherokee is a great drive. The 3.2-litre Pentastar V6 normally aspirated petrol engine in the model we tested is frisky and quite frugal. You can feel the power. It’s fun to drive. I got 9.5 litre/100km which included a daily commute. Highway driving should give you around 8 litre/ 100km. 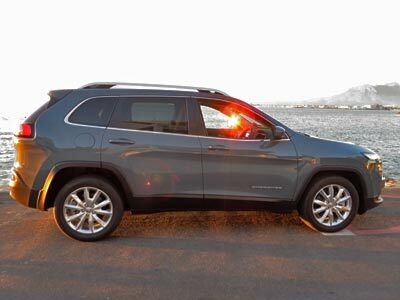 Jeep claims Cherokee raises the bar with superior on-road ride, handling and fuel economy, best-in-class 4×4 capability and class-exclusive technology. I think they may just be right. If a SUV is more to you liking check out the Kia Sorento, Subaru Forrester, VW Tiguan, Nissan X-Trail, Toyota Rav4. Real off-road capable 4×4’s include the Suzuki Grand Vitara, Two door Mitsubishi Pajero, Freelander Sport. Warranty 3 years or 100 000km.